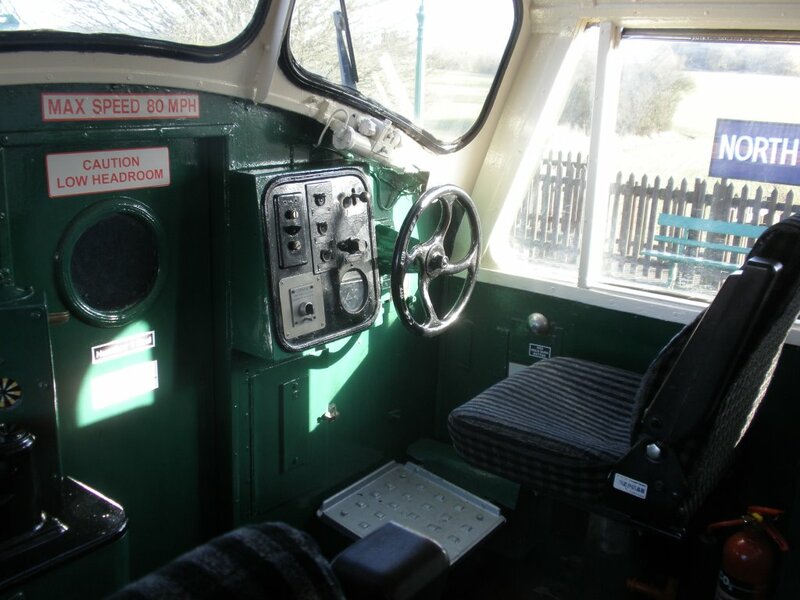 Class 37 – Cab Restoration Complete! 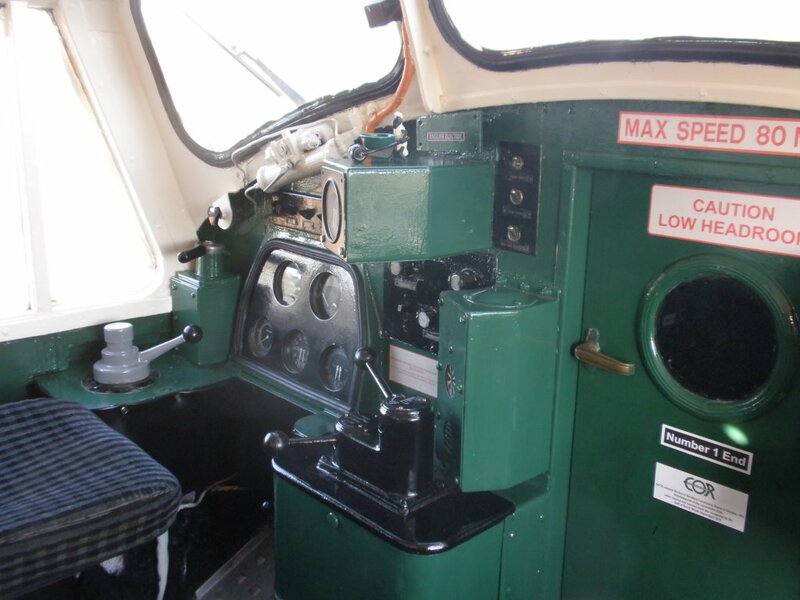 The diesel renovation team have, at long last, completed the first stage of the class 37 project: Renovation of both cabs. In the final stage of our work, the team completed repainting and applying transfers; the final piece in the jigsaw was spot-replacement of the number two cab flour covering. The team started work in October, but have spent quite a lot of time diverted on more pressing work. Special thanks to Jan Ragg (who renovated the crew seats), to Michael (for his hard work keeping the 37 mechanically sound), and to everyone else who lent a hand. There’s be much attention to detail: Marco has managed to obtain reproduction 1960s transfers, as well as the required 2015 “Health and Safety” required transfers. Chris Marsack also obtained replacement maker’s plates for the controllers. 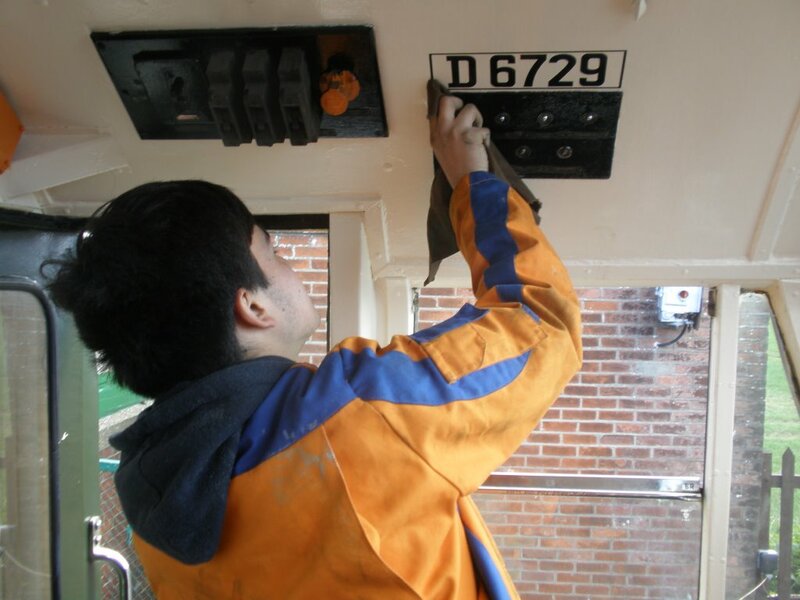 Ken puts the finishing touches to a D6729 transfer in the cab. 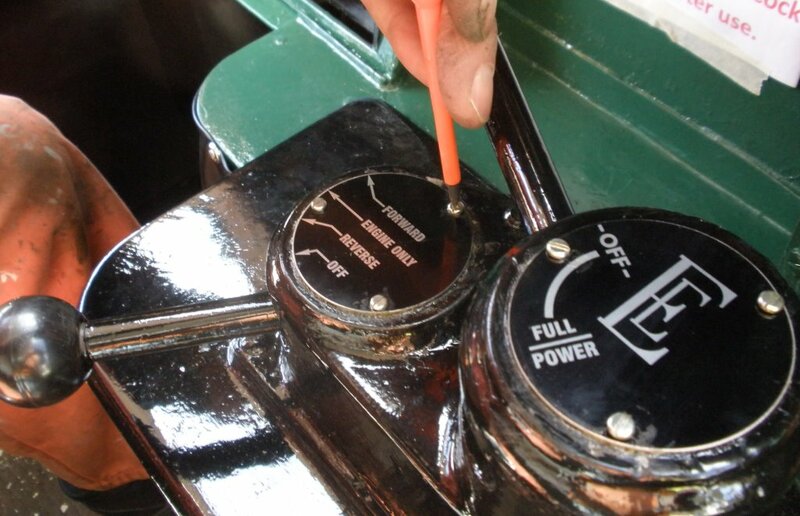 We have paid much attention to detail; a copy of the original driver’s control cover is fitted. 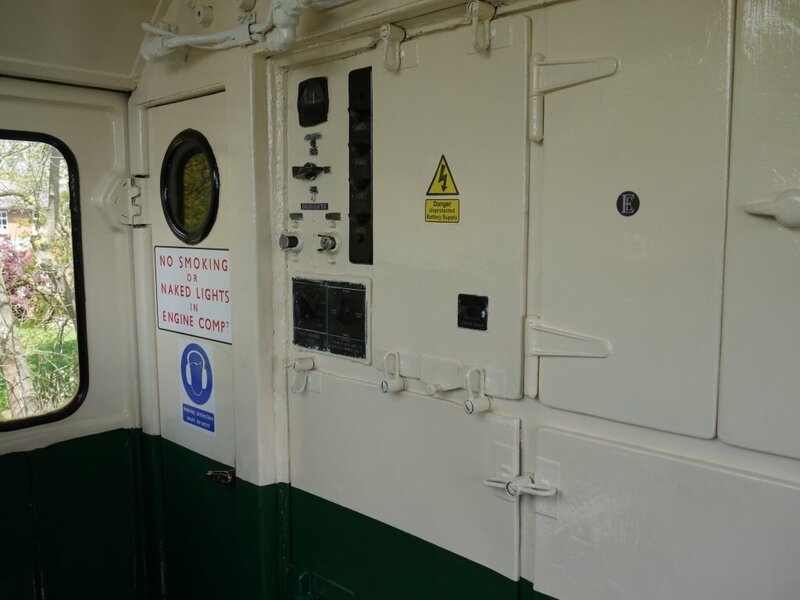 We have tried to keep our work as historically accurate as possible, with the transfers on the engine room door and the English Electric Logs dating back to the first 1955 modernisation plan Locos! We have also had to include modern “Health and Safety” required transfers. Mick, meanwhile, has clearly made an excellent job of the straight line between the cream and the green. This job proved far harder than we first anticipated. It should also be noted that new head code light panels have been fabricated, and fitted by our external engineers, so we now have fully lit head and tail lamps at both ends. The next stage of the project is spot repairs and repaint of the external bodywork, in areas where rust has started to rear its ugly head.